The VXi BlueParrott Xpressway II is the lightweight (0.6 oz.) Bluetooth® headset that knocks over 93% of background noise out of your conversations. So you can hear and be heard, clearly, no matter how noisy it gets. The Xpressway II also gives you great sound from music players, GPS and other Bluetooth-enabled devices. And its choice of three wearing styles lets you choose the style and fit that works for you. The XpresswayII headset's advanced noise-canceling microphone and Xtreme Noise Suppression technology are designed to block out the drone of city traffic, road noise, airports and the roar of an 18-wheeler's engine, ensuring crystal-clear conversations. Specifically designed for use in semi-trucks and other high-noise environments, the BlueParrott XpresswayII is a wireless noise-canceling headset for Bluetooth phones and other Bluetooth devices. With advanced noise-canceling and Xtreme Noise Suppression technologies, this BlueParrott XpresswayII Bluetooth headset minimizes even the most excessive background noise. The BlueParrott XpresswayII gives 7+ hours of talk time on a full charge. 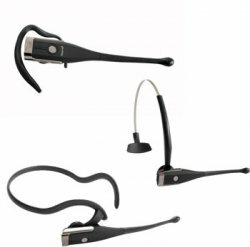 Add its choice of three popular wearing styles headband, earhook and neckband and the BlueParrott XpresswayII delivers the comfort and capability you need to talk while you drive, handsfree and legal. The best noise canceling ~ guaranteed. Wear all day in lightweight comfort. Just 0.6oz! Choose the wearing style that's right for you.